The Pilates Method was developed by Joseph Pilates during World War I as a form of rehabilitation for ill and injured soldiers. Pilates has become a beneficial mode of exercise, which focuses on whole body control and an integration of strength, stability, flexibility, breathing, and alignment. Based on the principles of breathing, concentration, control, centering, precision, balanced muscle development, rhythm and flow, whole body movement and relaxation, Pilates exercises stress quality of movement. 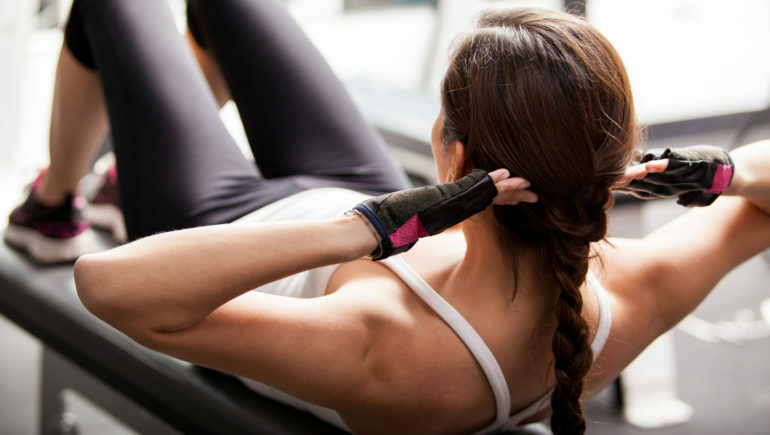 Using Pilates equipment such as the reformer, or no equipment at all, most Pilates exercises use the individual’s own body weight or resistance in the form of springs to strengthen the entire body. Pilates focuses on the foundation of core and trunk stability without ignoring upper and lower extremity strength, allowing patients to more effectively strengthen their whole muscular system. Exercises vary from small, isolated movement focusing on a couple of muscles to whole body movements integrating multiple muscle groups and joints, while emphasizing the muscle co-contraction, which improves joint stability and dynamic alignment. When recovering from an injury, Pilates-based exercise optimizes strength and muscle balance, while minimizing load and stress through the joints or other injured tissues. 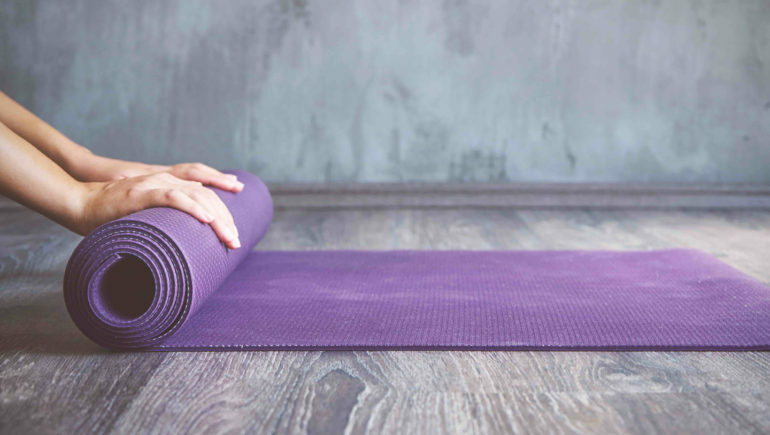 There are hundreds of Pilates exercises that can be tailored to each patient to address their specific impairments, while respecting their healing precautions. Pilates also integrates breathing to maximize core stability and overall muscle function. Pilates-based rehabilitation is designed to efficiently transition each patient back into their functional activities, including daily activities, sports, and recreation. While all programs incorporate breathing instruction, core stabilization, and improvement of overall muscle function, each Pilates-based program is individualized to specifically meet the needs of the patient’s strength and flexibility deficits to match the physical demands of their daily life. Pilates-based rehab has become more popular in recent years due to its effectiveness and success in safely treating nearly every condition, including post-operative one. Frequently, patients who are introduced to Pilates through rehabilitation end up making Pilates part of their lifestyle in the long-term. Most of the terrain in Aspen/Snowmass tends to favor skiers (aka the road bikers of winter sports) a bit more than snowboarders. 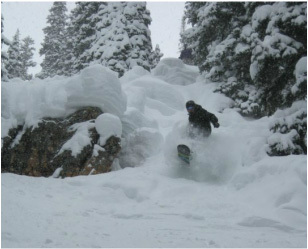 Fortunately, there is some great off-piste terrain to be had on powder days if you know where to look. In my opinion, almost all the good stuff is in Snowmass. I know, I know, “Deep Temerity” they say, “the Highlands Bowl,” they say. 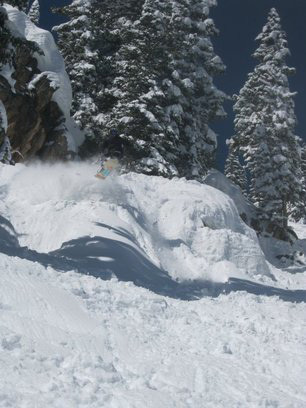 Nope, Snowmass has the goods. On deep days, my personal favorite is to start the day in Rock Island. Located through a gate on Sheer Bliss, Rock Island has some great pillow drops and small to medium sized (4 to 10-foot) cliffs. There are a multitude of lines to choose from, and on most days, you can get lap after lap for hours getting fresh turns every time. Next up is Buckskin, also located through a gate off Sheer Bliss, further below Rock Island. Buckskin has some good steep trees at the top with a great cliff drop midway down through the middle. The cliff itself is probably about 15 feet with a great steep landing before flattening out. The runout is fun too with lots of little jumps and drops. The last fun spot on this part of the mountain is Burn Cliffs. As the name implies, there are lots of cliffs and a few big ones. The most popular way through is Stiletto, a narrow chute with a 4-foot drop at the end over some rocks. There’s a rope to down climb for people, usually skiers, who get in over their heads and don’t want to hike back out. To the skiers right of Stiletto, there are some large cliffs you can hike to that should satisfy almost any person’s need for thrills. Leaving this section of the mountain, I next like to head to Hanging Valley Wall. This is a pretty large area with a multitude of different ways through. I won’t try to guide you through other than to say I usually hike all the way (don’t stop at Roberto’s), strap in, and then keep to skier’s right at the beginning as far as you can go. Drop in once the track runs out. There is so much good terrain in here, and it takes days to get fully tracked out after a good storm. Finally, after a few laps in Hanging Valley Wall, I like to end the day on Burnt Mountain. Burnt Mountain is located off the Elk Camp chair. You take a short hike up after exiting the chair. Look for signs for Burnt Mountain and Long Shot. Burnt Mountain has some great glades, thick trees which stay deep for days, and a sizable cliff which usually has a deep (but somewhat flat) landing. To get to the cliff, follow Rio and stay on the ridgeline through the glades. You will see the cliff on skier’s right as you come to the end of the ridge. You will be thanking me in your head in colorful language as you do the runout later. Those are my favorites, but there are plenty, plenty more. 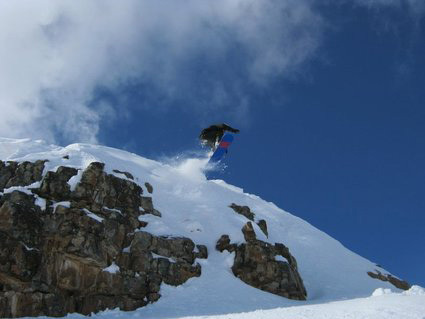 The best part of Snowmass is that it stays good for days because most people go to the other mountains. Enjoy! 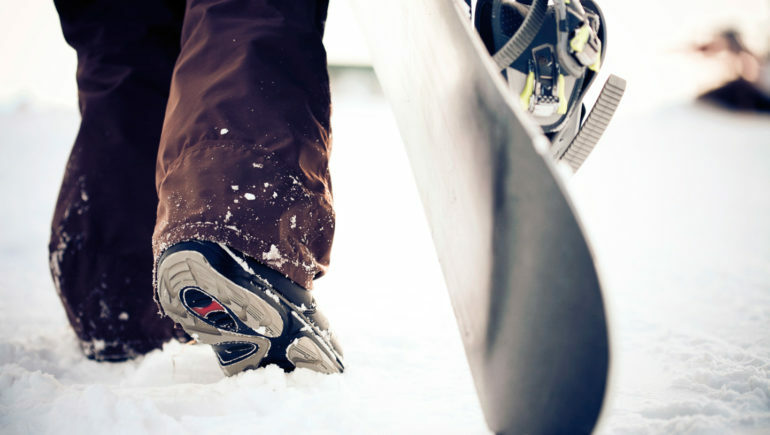 For ski season preparation, start training for maximum ski performance and minimum injuries. The best ski/snowboard conditioning regimens encompass much more than just strengthening the legs. Many of the recommended ski/snowboard workouts out there jump straight into training the muscles of the lower extremities (legs) along with agility drills and plyometric. While these things are indeed important, it all starts with the CORE. Regardless of the sport or activity you might be training for, the core is the fundamental piece that must not be overlooked. 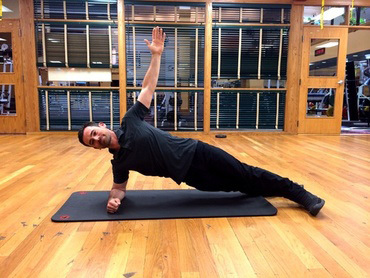 Think of the core as everything between the shoulders and hips on all sides (front, back, and both sides of your body). 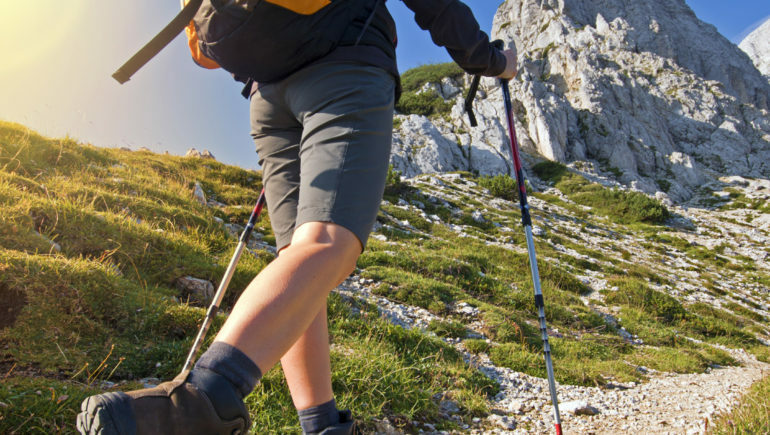 Increased stability, endurance, and strength in the core (in that order of importance) will increase your athletic performance on the hill and decrease the likelihood of injuries to the knees and other joints. Your core should act as your anchor (practicing stability) from which you develop and project force via the hips and shoulders. Endurance in the core is important because you need to maintain good posture as you go down (or up) the hill. 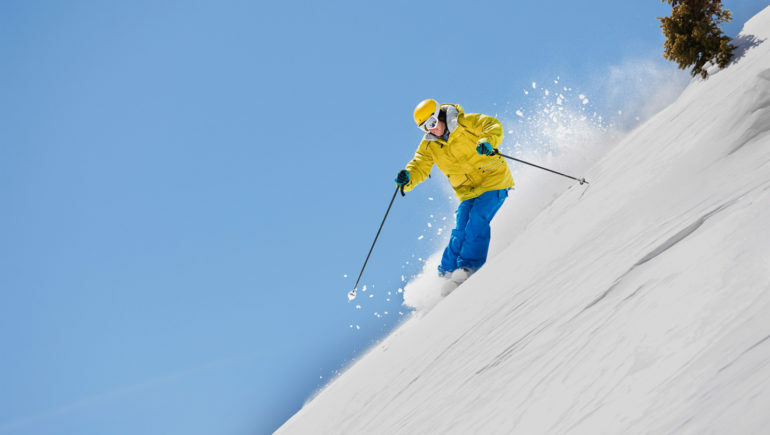 Endurance is the ability to maintain contractions in the core muscles that hold you upright as you ski/snowboard. 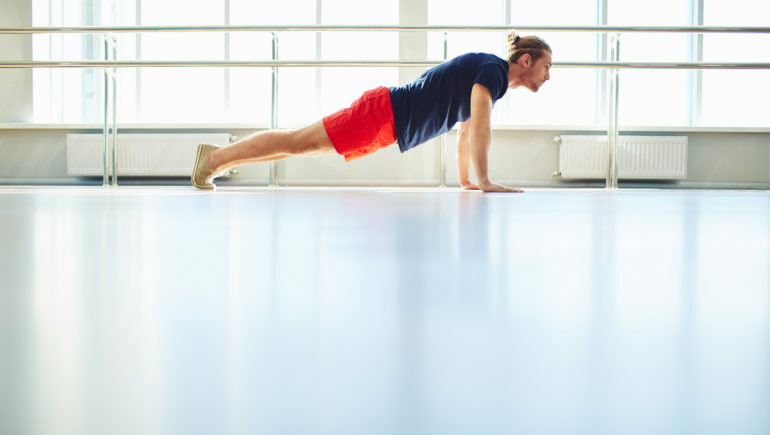 To start building endurance in your core, practice these exercises daily a week or two before you move into lower extremity strengthening and plyometric and then keep them in your regular routine. REPEAT ALL ONE MORE TIME. Even if you can hold these positions longer, it is safer and more effective to get a good contraction for 10 to 20 seconds for each rep rather than holding the rep for a full minute and relying on the joints and ligaments to sustain you after the muscles fatigue. 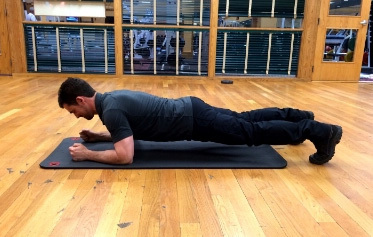 I like to do these in the beginning of the workout to turn the core muscles on and remind myself to keep a stable spine. 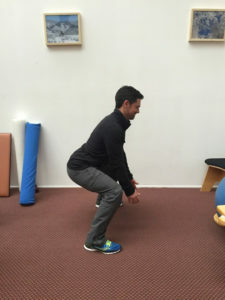 From there, you can move on to the traditional ski/snowboard conditioning exercises such as squats, jump squats, box jumps, agility drills, etc. I also recommend incorporating high intensity interval training (HIIT) into your workouts to really boost your fitness level. 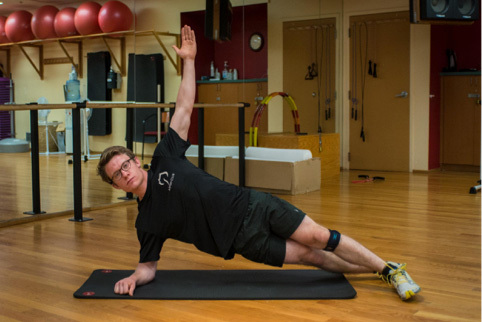 I spend a lot of time talking about what is good to do in the gym for spine and overall health, so I thought I would say a quick word about a few things you should avoid. With some exceptions, such as training for a specific sport or certain rehab protocols, these exercises should be avoided when trying to achieve overall health. Sit-ups: If you were to set out to design an exercise to ruin lumbar discs, the discs in your low back, you would be hard-pressed to design one more effective at that task than sit-ups. Why? Repetitive flexion aka forward bending and twisting damages the discs in your low back. 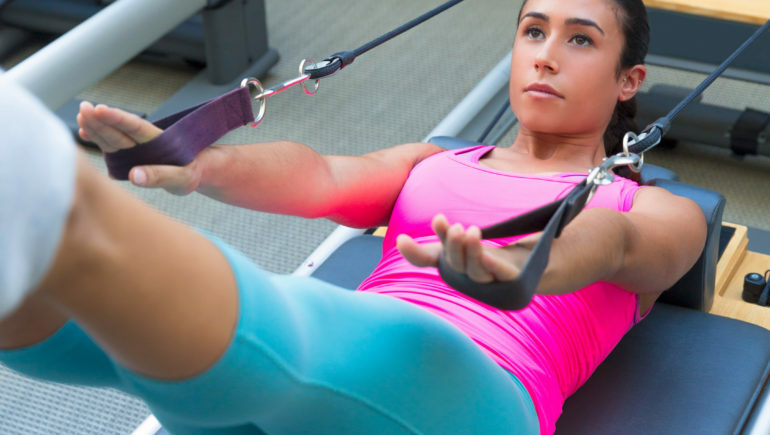 Sit-ups and sit-ups with rotation reproduce these movements exactly. 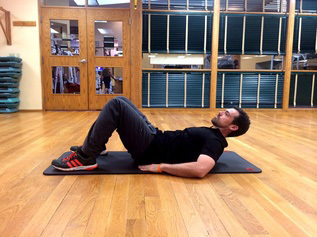 Instead, try crunches, like a sit up but your low back doesn’t bend, and planks with short isometric holds. 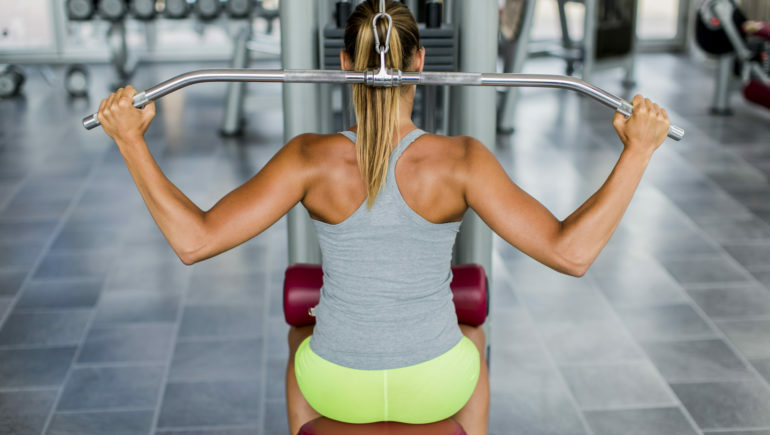 Behind the Head Lat Pull-down: This one places the shoulder in a vulnerable position, which can lead to injury of the rotator cuff and shoulder joint. It also puts enormous strain on the cervical spine (neck) because of the forward head position. Instead try Lat pull-down to the chest or pull-ups if possible. Also, try alternating between standing Lat pulldowns and seated Lat pulldowns to activate more of the core and gluteal muscles. Rotations from the Waist with Band, Cable, or Medicine Ball: As mentioned, sit-ups, rotation, or twisting of the lumbar spine can lead to disc degeneration and/or herniation over time, especially with load. Twisting from the waist will get your oblique ripped but at great expense to your low back. Instead, rotate from the hips. This strengthens the hips instead of the spine and is a great exercise. It also trains you how to move in your day-to-day life, avoiding low back injuries. Smith Squats: Smith machines were designed to help people squat with heavy load while minimizing the risk of the lifter collapsing due to a built-in catch mechanism. The problem with doing Smith Squats is that the machine guides the bar in one plane of motion, which won’t allow most people to do a functional squat on it. The squat is a very complicated and important exercise for back health. It is crucial that one masters squat mechanics before applying load. Most people need to work with a trainer in the beginning to master this move. Since all people’s bodies are different, the one size fits all approach of the Smith Machine doesn’t work and creates poor squat patterns, which can lead to knee, hip, and back problems down the road.